After 6 or so pages without issue, text within the Frame Text Tool is now appearing vertically. The image attached shows the vertical text field on the left, and on the right, a field copied and pasted from an earlier page. With the problematic text frame selected check if there is any value set on the Right Indent field in the Paragraph panel, Spacing section. Set it to zero if that's the case. 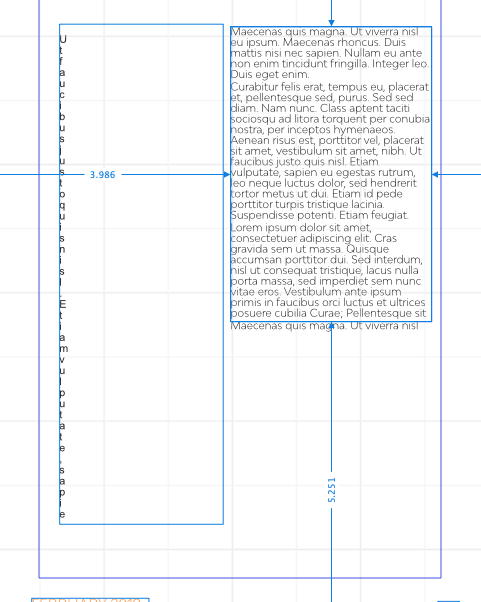 Also check if you have a right Inset value set in the Text Frame panel (menu View ▸ Studio ▸ Text Frame) Insets section. If none of those fix the issue can you please upload your document using this link for us to take a look please? Thanks.